Posted under Parents' Articles. Updated 14 March 2019. Eating disorders are both medical and psychological conditions. Therefore, treatment usually includes working with a team of specialists including: a medical doctor or nurse practitioner, licensed therapist, a registered dietitian, and sometimes a psychiatrist or family therapist. If your child will be receiving family-based treatment (FBT), the treatment team will include a specially trained FBT therapist. It’s very important that you and your child meet with a medical provider, therapist, and a dietitian, each of whom has experience working with young people with eating disorders. Treatment for an eating disorder is a very individualized process. There are different types and different levels of treatment depending on how medically–stable a person is, how much emotional support they need, the availability of licensed therapists trained in different modalities such as family based therapy (FBT), and what you as a parent think is the best approach for your child. Most young people are treated in an outpatient setting. Outpatient treatment is useful for those who are medically stable and are able to maintain their normal daily activities. The two most common approaches are multi–disciplinary and family–based treatment. The choices may vary depending upon the expertise of professionals in your community. Multi–disciplinary:This type of treatment involves visits with a medical provider, licensed therapist, and registered dietitian. On an outpatient basis, medical providers usually schedule visits for patients who are in treatment for an eating disorder anywhere from once a week to once a month. They will check weight, blood pressure, heart rate, and a urine sample to make sure the patient is drinking enough fluids and not overhydrating to influence their weight. Dietitians help by providing information about how much food to eat and what kinds of food will be best for your child. They can offer anything from general guidelines to a structured meal plan. Therapists will assist with strategies to help young people avoid restrictive eating, binge eating, and/or purging behaviors. Family–based treatment (FBT): This type of treatment puts parents and/or family members in charge of the recovery process. Family members control their child’s food and offer support at every meal and snack with guidance from a licensed therapist who specializes in FBT. FBT may be done at home and may involve only the family–based therapist and a medical doctor, but other health professionals may also be involved. The focus of the treatment is on weight restoration and behavioral change. Once weight is restored the therapy will focus on normal adolescent developmental issues. How do you know if family–based treatment is right for your family? FBT works best for adolescents who have been diagnosed with anorexia nervosa and who are living at home and who have been sick less than three years. FBT is an intensive family therapy with three phases over a period of 6–12 months and initially involves the entire family in weekly hour long sessions. Over time, families may attend the therapy every other week. The parents are coached in how to help their child eat (and/or stop purging and over–exercising) and parents are empowered to assume responsibility for their child’s recovery. FBT is a very different approach from traditional therapy and may not be right for everyone or it may not be available in your community. The focus of FBT is restoring weight and eliminating disordered eating behaviors, whereas traditional therapy focuses on understanding why the behaviors develop. In FBT the therapist does not make decisions for the family but serves as an expert consultant; most decisions are left to parents. FBT requires a long term commitment from parents and also requires families to sit with their child during and after every meal. Whatever treatment is chosen, a strong treatment team and supportive environment is necessary so that your child will be able to restore weight, maintain their goal weight, and return to their life and age–appropriate activities. This type of treatment is for youth either transitioning back into school or work from residential treatment, or for youth who are not ready for or do not require a higher level of treatment. Intensive outpatient treatment usually involves after school group meetings 3–5 days per week for about 3 hours and includes one supervised meal and snack. Someone at this level may or may not also work with an outpatient team. This type of treatment is provided for 6–8 hours during the day and patients go home at night. It includes 2–3 supervised meals and snacks, group and individual therapy. Nutrition education is provided along with various other modalities such as yoga and art therapy. This type of treatment is for people with severe eating disorders who are medically unstable or people who were unsuccessful with treatment at a lower level of care. Patients receive 24–hour hospital care and have a very structured schedule of meals, therapy, and groups. Once medically stable, patients often go to an intensive outpatient program, a residential treatment center, or home with close follow–up. This type of treatment is for medically stable patients who need a 24 hour therapeutic environment. Patients live and sleep in a center with others who are struggling with eating disorders. Patients in residential programs have frequent meetings with their team (therapist, dietitian, nurse and/or doctor, and psychiatrist) and various kinds of group meetings. After residential treatment, patients often meet with an outpatient team, or transfer to an intensive outpatient or day program. 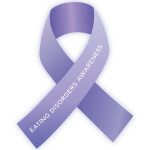 Treatment of eating disorders varies from person to person. Some people only receive outpatient treatment, while others may need to transition through some or all levels of care as part of their treatment. Before your child leaves inpatient or residential treatment, it’s important to set up an outpatient team for regular visits. Ask the treatment team to help you find providers who are experts in eating disorders and who accept your family’s health insurance. Usually an outpatient team consists of a therapist, dietitian, a doctor or nurse practitioner, and often a psychiatrist and a family therapist. Some days will be easier than others. It’s okay and normal for you to have some challenging days with your child. You may be asked to be in charge of your child’s meal plan. Don’t be afraid to seek support from the team, as well as family and friends when necessary, especially around meals. It’s easy to feel overwhelmed if you are supervising the meal plan. Think about one meal at a time, and try not to become discouraged if your child has a hard time once in a while. Encourage your child to be completely honest with their treatment team and to tell them if and when he/she has any thoughts about disordered eating or is using unhealthy behaviors. This type of meeting is usually held once a week and can be helpful during treatment. There are also group support meetings for parents and/or guardians who are taking care of children or young adults with eating disorders. At group meetings, parents can provide encouragement and can share stories, feelings, accomplishments, and coping methods. Group meetings can usually be found at local health centers, community agencies, or schools. Ask your child’s team about support meetings in your area. Myth: People with anorexia don’t eat anything. Truth: Most people with anorexia eat, they just restrict the types and amounts of foods they allow themselves to eat. For example, they may only eat foods that are low in fat or in calories or only eat small portions of food.